On display to the VCA Graduate Certificate Class. 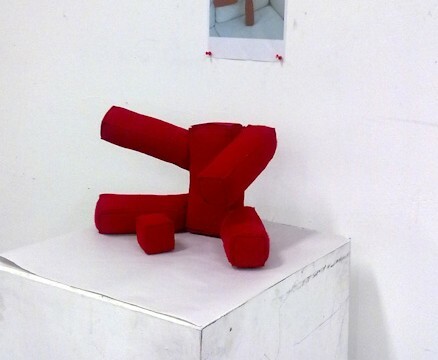 The arms and legs are attached to the body with Velcro, and can be adjusted to change the shape of the sculpture. Felt and Velcro, hand and machine sewn.